Get Directions 2202 Scarlet Ridge Rd. 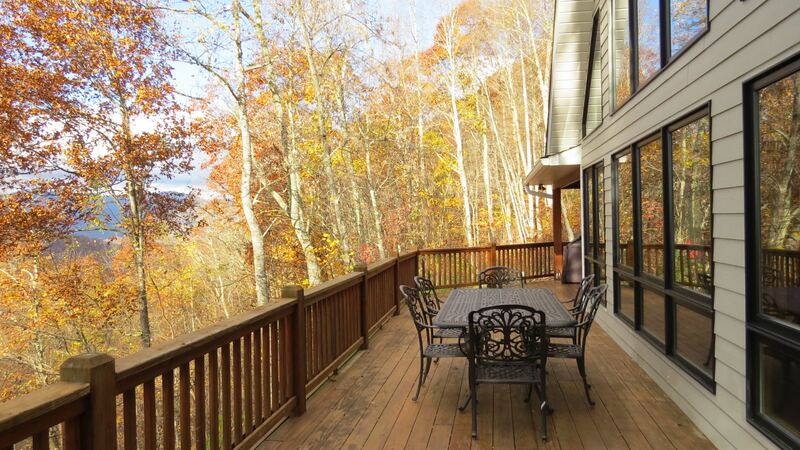 On the dividing line of the Blue Ridge National Park, the Aerie is located next to fantastic hiking trails just feet from the front door. The drive from highway 74 to The Aerie may take between 15 - 30 minutes depending on weather conditions and familiarity with mountain driving and the local roads. Enjoy the entertainment and warm character of the local citizens and businesses. The welcoming towns of Sylva and Dillsboro are just 5 and 10 minutes away respectively on the 74. The larger cities of Waynesville and Ashville are 20 and 45 minutes away and create fantastic half-day trips for some of North Carolina's most vibrant shopping and food & Beverage scenes. Access roads to the Blue Ridge Parkway are just a few miles down Highway 74 and are some of the most beautiful roads in North America. Altez Vacations furnishes all of our guests with the amenities of home, from toiletries to kitchen ware, providing you with the best enhanced vacation experience. Altez Vacations offers each of its residence their own Property Liaison to ensure any problems or concerns will be resolved in an effective and timely manner. Local activities, events and concierge services may be discovered by contacting an Altez Vacations service member or the Activities and Concierge pages on altezvacations.com. Make your reservation today to see why our guests have made the Aerie their home away from home. **Minimum Age 25: All Reservations must be booked by and accompanied by an adult who is 25 years of age or older. Valid photo I.D. may be required at time of booking. **Your inquiry on our property will be responded directly to your personal email. Please keep a look out for our response so we may best service your request.